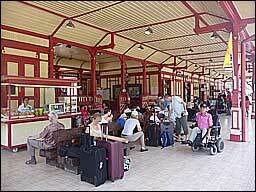 Famous for its Royal Waiting Room and very recognizable on picture. 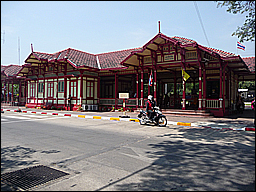 The most photographed building in Hua Hin, the train station in the centre of town. 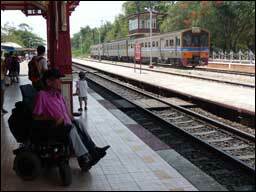 The train station itself is wheelchair accessible, the trains in Thailand are not. The station has a wheelchair accessible restroom Thai Style. Closing the door is a challenge. 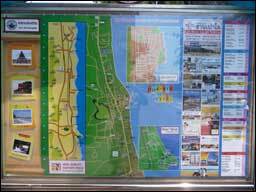 Map of Hua Hin Centre near Station.